My gear set up in Woods Hole shelter in Georgia. 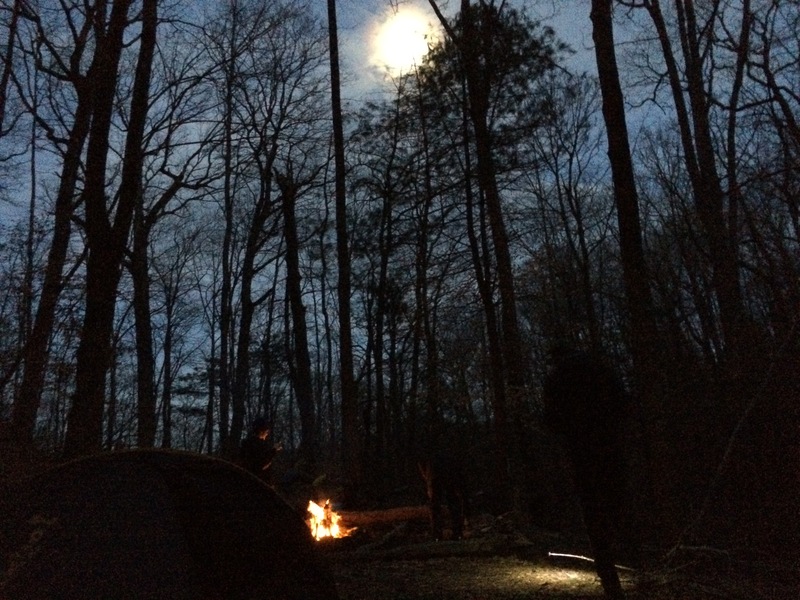 North Georgia, Friday March 30, 2015 — None of us who love being outdoors could ever be accused of living he lifestyles of the rich and famous. We’re not even trying. But, we are living life in the simple way we love. A sneak peak into the way it is out here follows. It’s always fun to write about the drama whether it’s snow, mud, rain, wind, heat, bears, snakes, and the like. But reality is much more mundane. So what it is that we really do? Here are a few questions and answers. 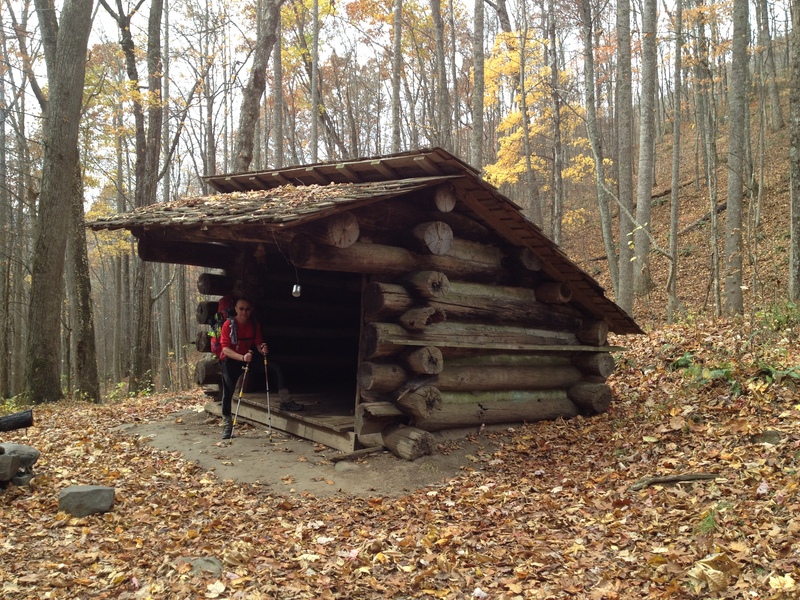 An original shelter from the 1930s at Cable Gap. 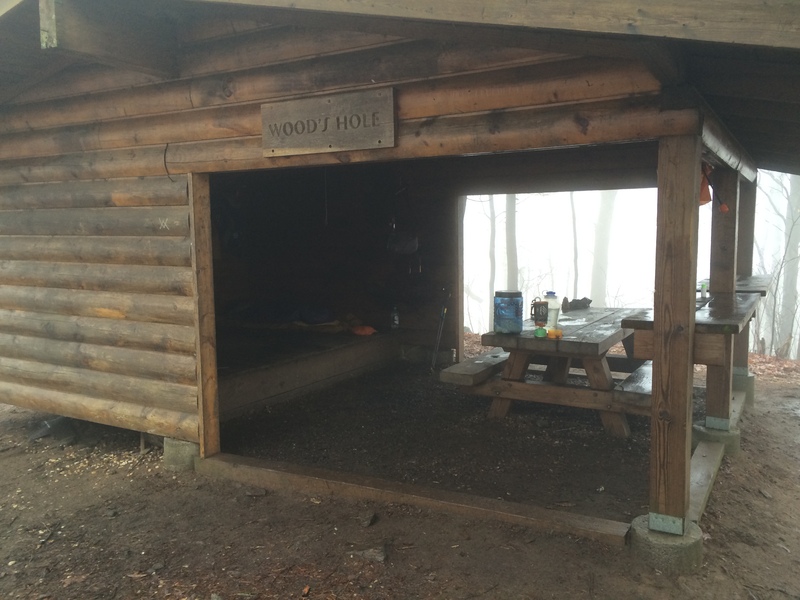 Wood Hole, a more contemporary shelter. 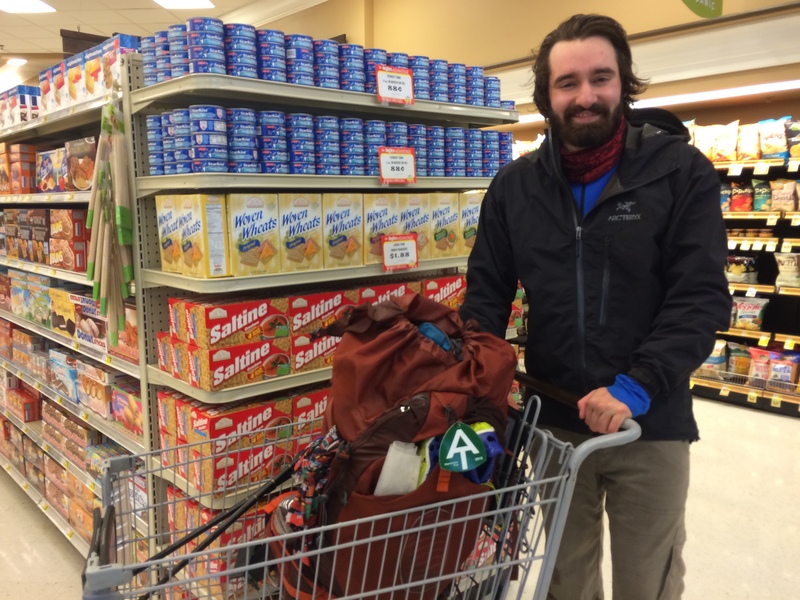 Shelters offer safe haven in stormy weather and enable quick get-aways in the morning. The accommodate from six to 16 of your best friends, at least that’s what you become after sleeping cheek to cheek with people who were formerly perfect strangers. Corner locations offer privacy on at least one side. 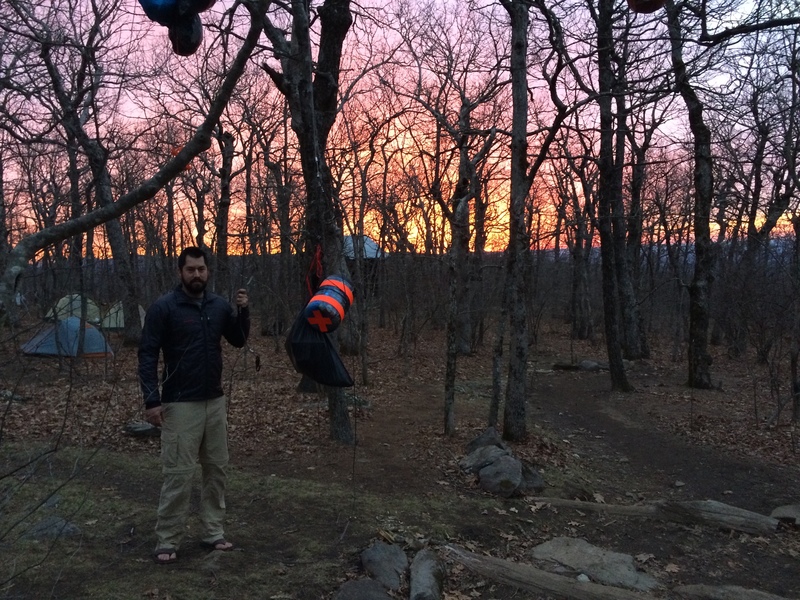 Tenting or sleeping in hammocks are alternatives to shelters. 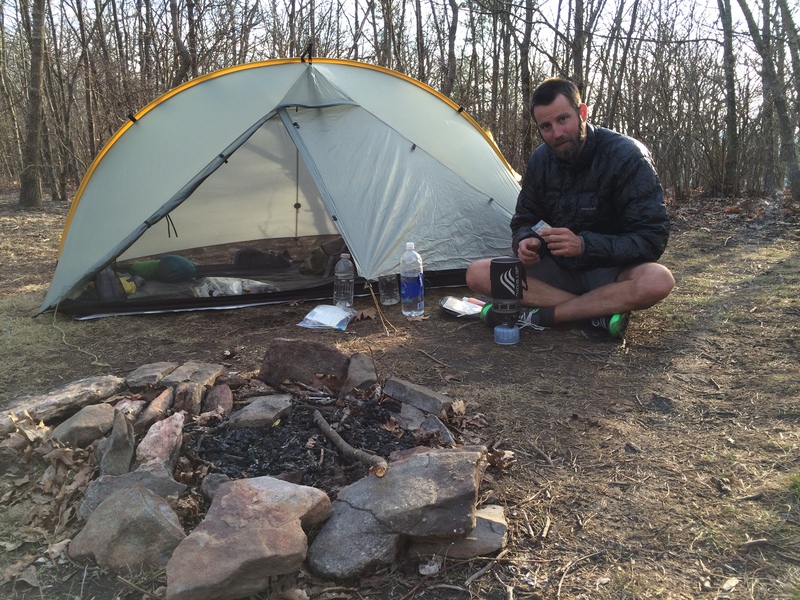 Hikers tend to favor tents, at least until their need for speed trumps aversion to strangers. A peek behind my mosquito netting. 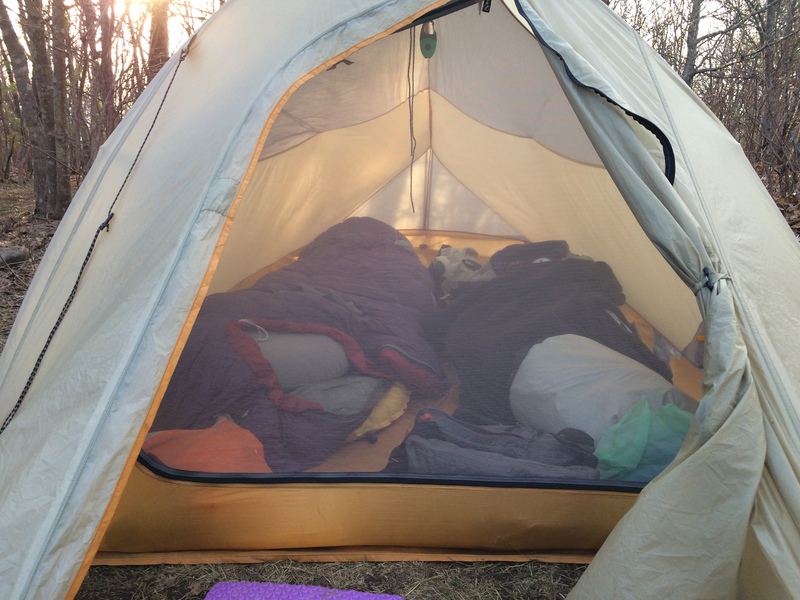 Tents offer privacy and control of your gear. Most makes are comfortable and weather tight. They do add up to an hour each day to pitch and strike them. Cooking? 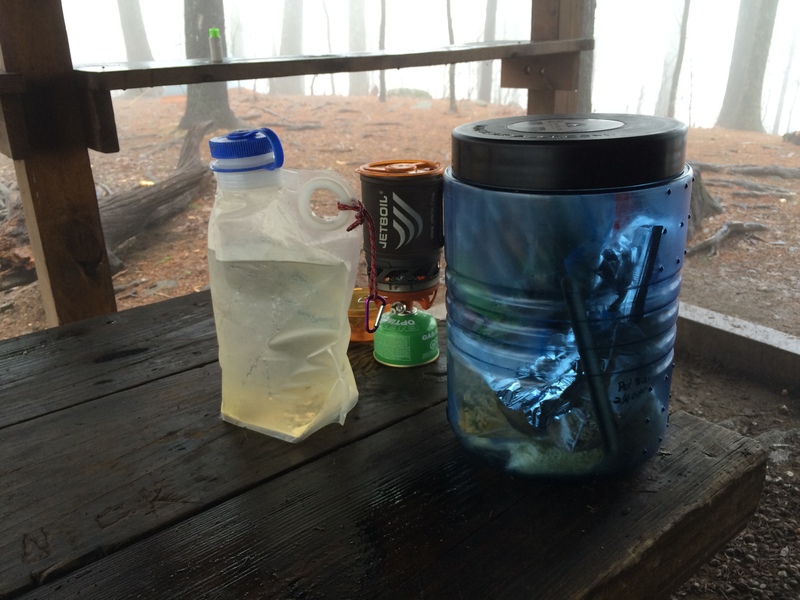 There are as many ways to cook as there are hikers. Some cook over an open fire. This method has multiple disadvantages including sooty pots, the time spent gathering wood and building the fire, not to mention the extra weight of fresh food that’s much cheaper than branded dehydrated meals. 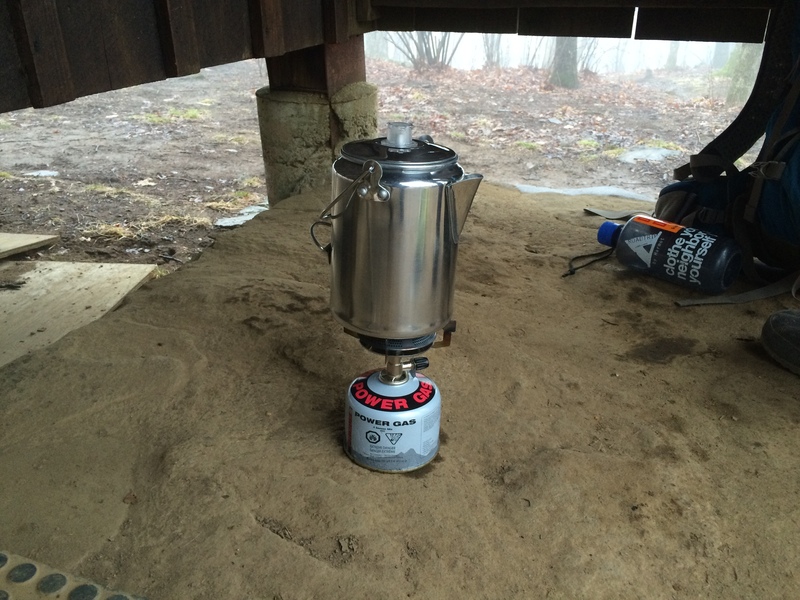 Hikers tend to cook near their tents or in common areas associated with the shelters. 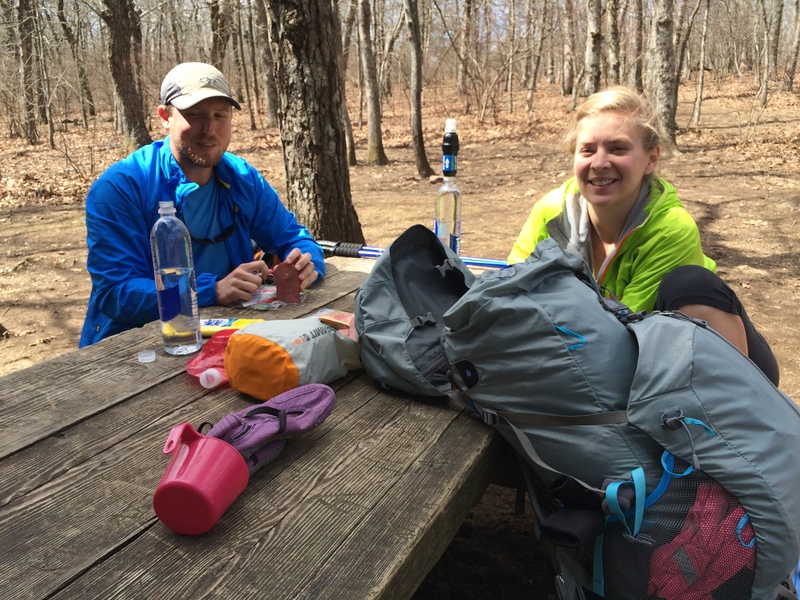 Hikers love high calorie, low volume foods. 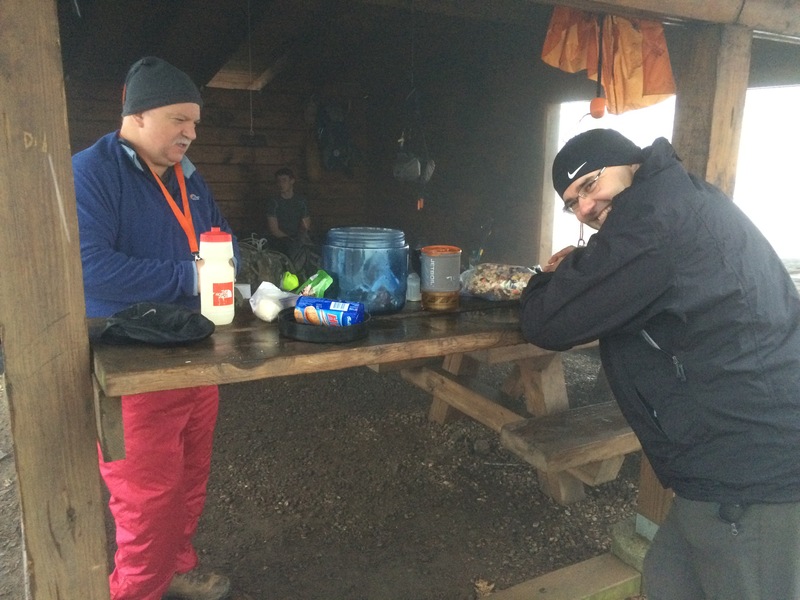 Breakfast often consists of oatmeal, coffee, hot chocolate, pop tarts and granola bars. Lunch can be tortillas and peanut butter, salami on bagels, or Snickers bars. Many folks don’t stop long for lunch, if at all. After all, time equals miles. Almost everyone eats a hot dinner. One all time favorite is Ramman noodles with peanut butter. That passes for haute Pad Thai in these parts. 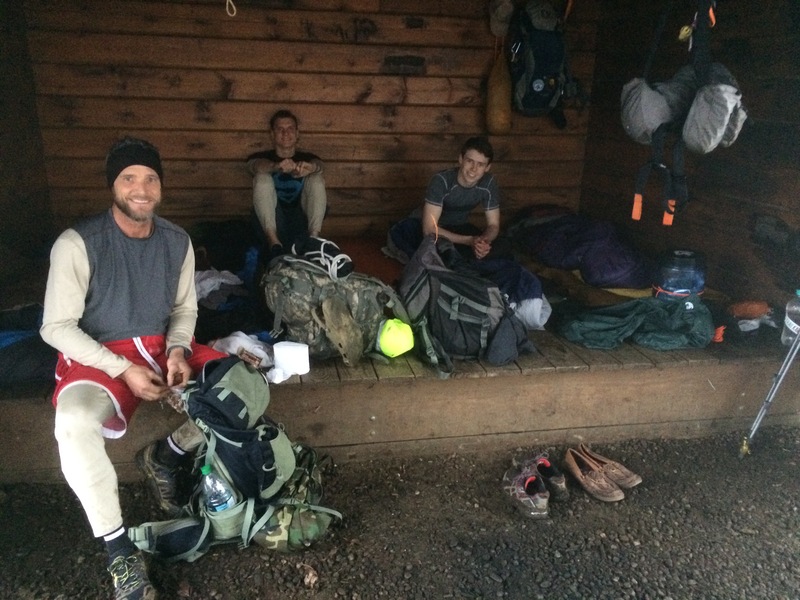 Otherwise meals dehydrated at home or manufactured by companies such as Mountain House are luxurious at the end of a day harder than woodpecker lips. 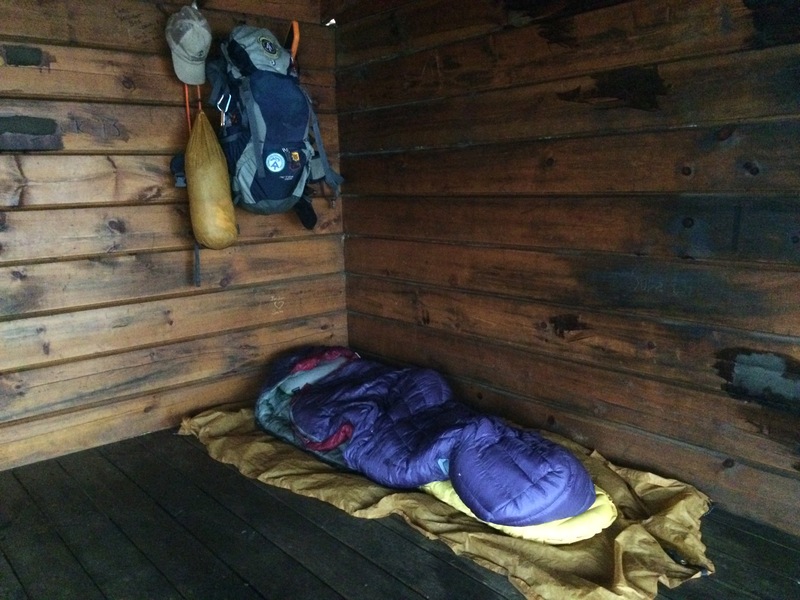 Some folks love a few creature comforts, especially at the onset of their hikes. However these extras add weight and tend to disappear rather quickly as the reality of a 2,200 mile trek sets in. It’s sometimes amazing what come out of the huge backpacks you see out here. 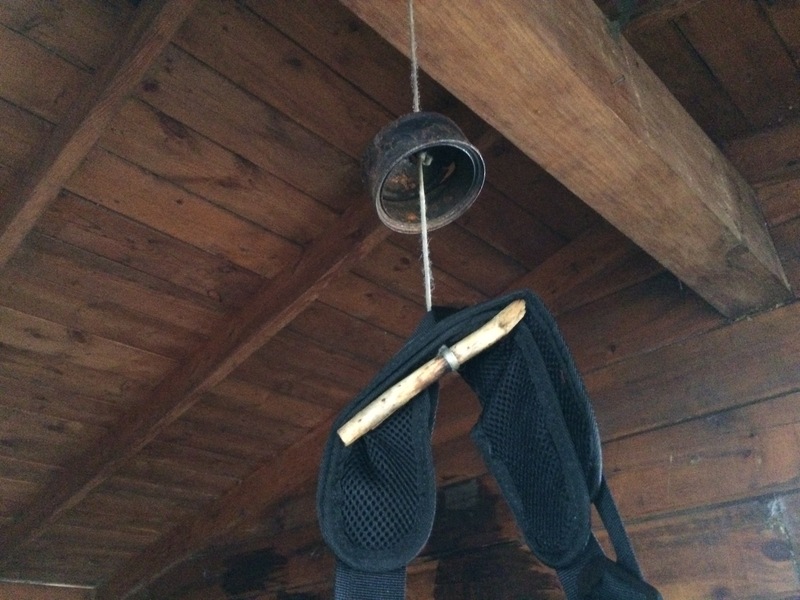 After meals, we hang our bear canisters or food bags to keep them out of reach of critters. 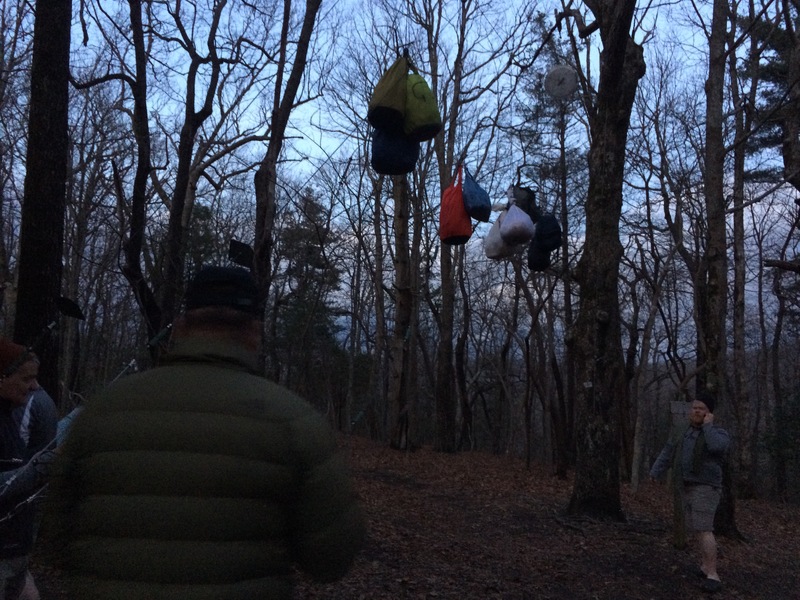 Bears must think of this as a food bag tree. “Mouse hangers” keep field mice away. 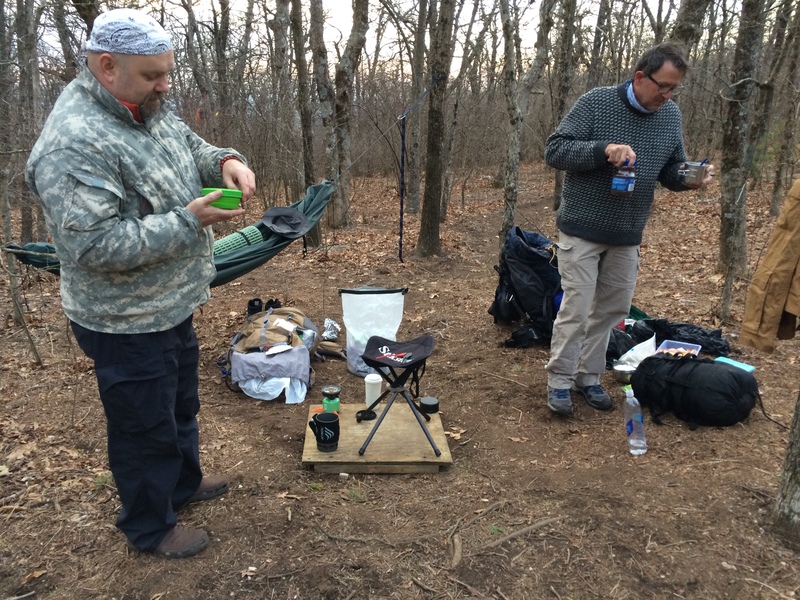 After dinner, some folks like a camp fire where they wile away the stress of the day. At the crack of dawn we reclaim our food from the bear cables or when in town (about every five days) go to the supper market to buy more. Now you know a little bit more. OMG we really did this? Yes–and loved it all, learned so much and laughed with fellow travellers who would become friends for life. Hiker trash unite!